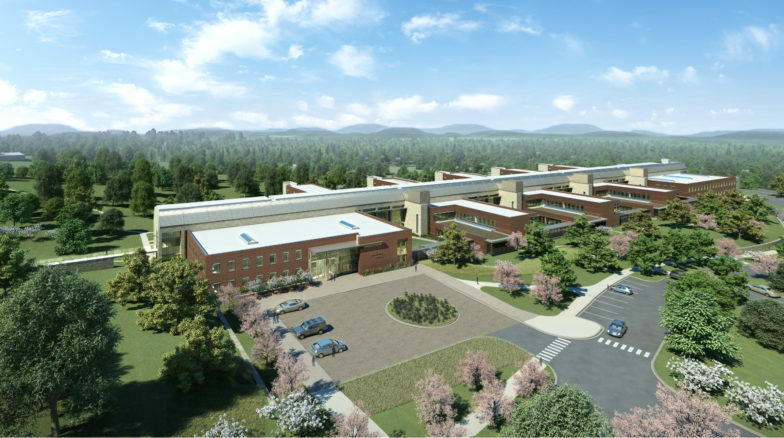 The new Broughton Hospital in Morganton, NC is the third and last of a series of modern psychiatric hospitals designed for the State of North Carolina to replace old facilities and mark a new era in the treatment of mental disorders. 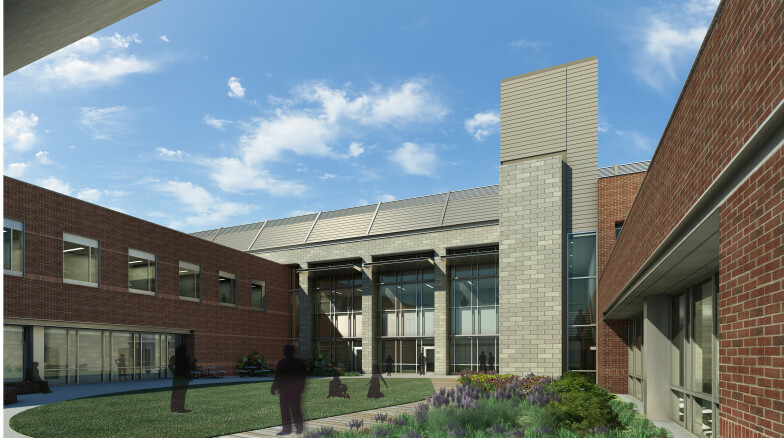 On all three hospital sites, Surface 678 teamed with Freelon (now Perkins and Will) to plan and design gardens and landscapes that support treatment functions and visitor experience. At Broughton, one primary challenge was to sensitively site a large hospital and parking within the park-like campus designed by the Olmsted brothers for the original hospital in 1876. 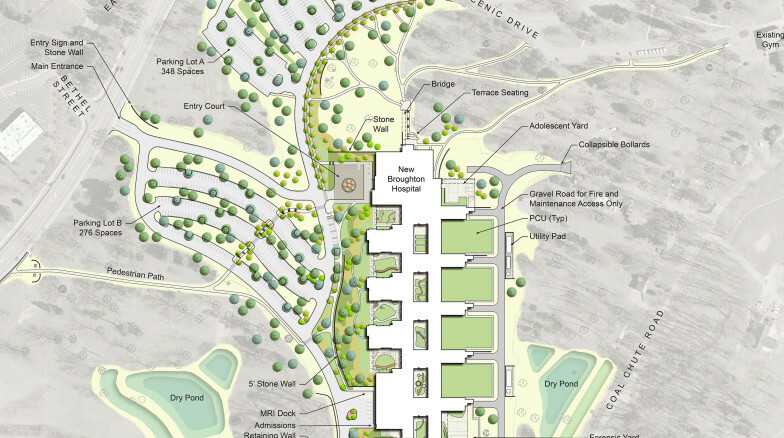 The site design uses topography and existing trees to help conceal parking from view, while allowing views out to the nearby Blue Ridge Mountains. Within the hospital, Surface 678 designed nine courtyards and two recreational yards to support hospital programs; these spaces utilize natural materials and simple geometries to provide settings for the interactions of visitors, caregivers, and patients. 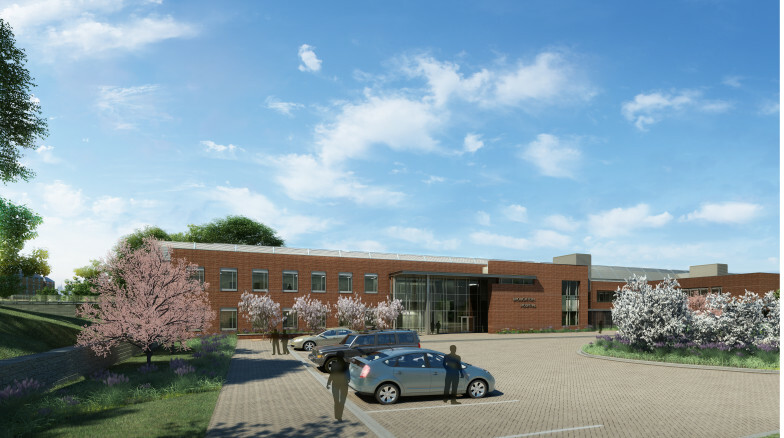 With the planting of 360 canopy trees of 24 different species, the new hospital continues the Broughton Hospital’s tradition of providing health care within the setting of an arboretum.